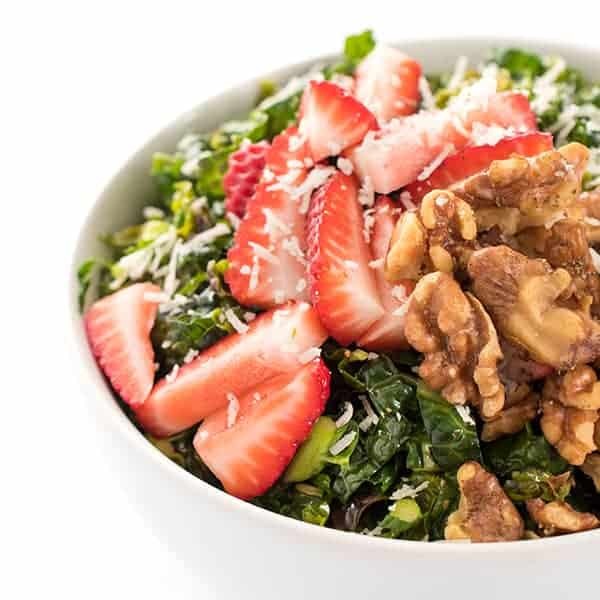 This massaged kale salad is made with juicy strawberries, toasted walnuts and nutty Parmesan cheese. 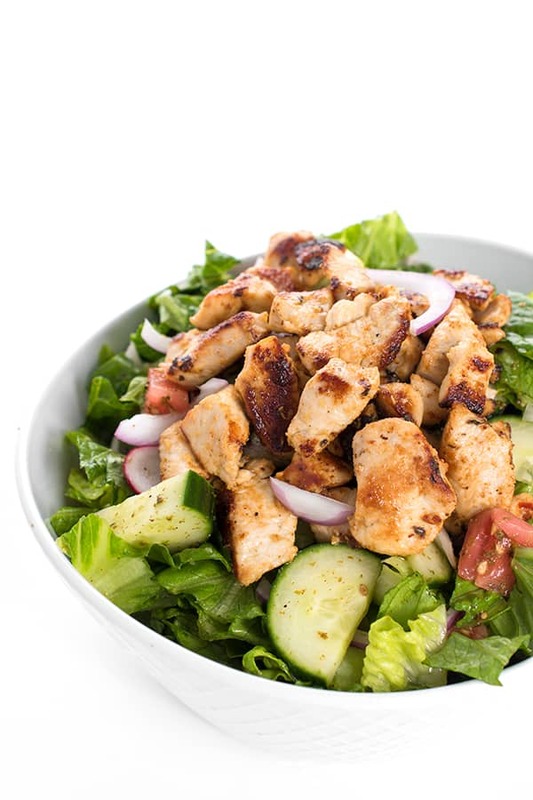 Everyone loves a good kale salad and they’re all the rage on restaurant menus these days, am I right? With that said, when’s the last time you made a kale salad at home? 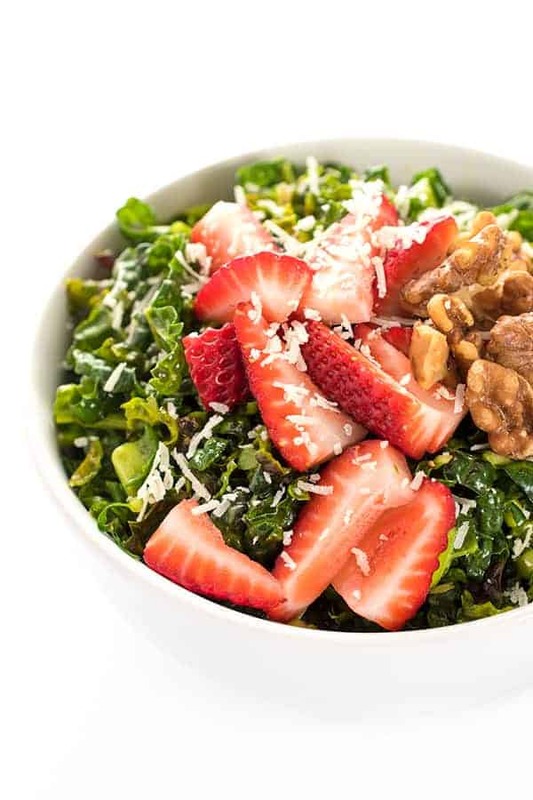 I often hear friends try a kale salad at a restaurant and say “If I could make kale salad like this at home I’d eat it every day!” Well guess what friends? You can! The secret? It’s all in the rub. That’s right, you need to literally massage the kale with your hands. 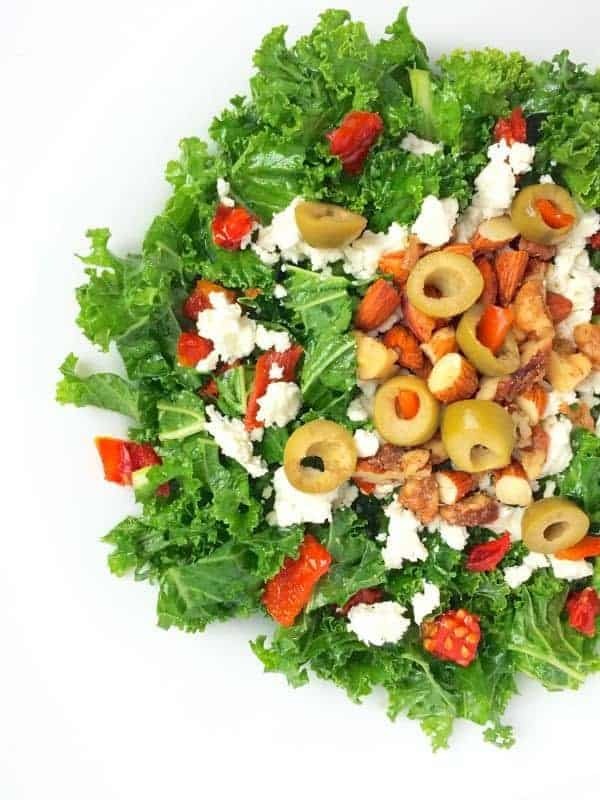 As you rub the oil and acid (olive oil and lemon juice in this case) into the kale, the acid in the lemon juice helps break down the tough kale resulting in a tender, flavorful salad. For added sweetness, I like to toss in seasonal fruit like strawberries but peaches, pomegranate seeds or blueberries work too. 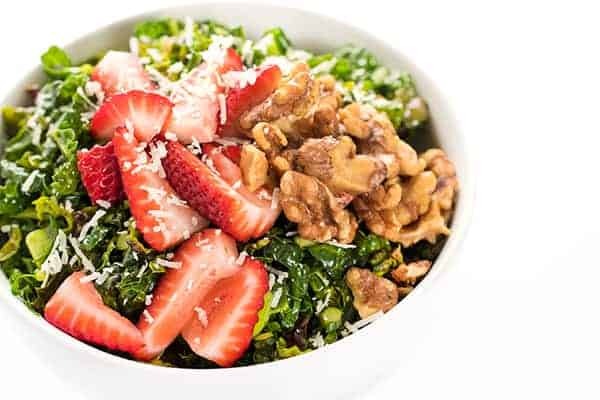 Toasted walnuts add a nutty flavor and a crunchy texture which brings the whole salad together. 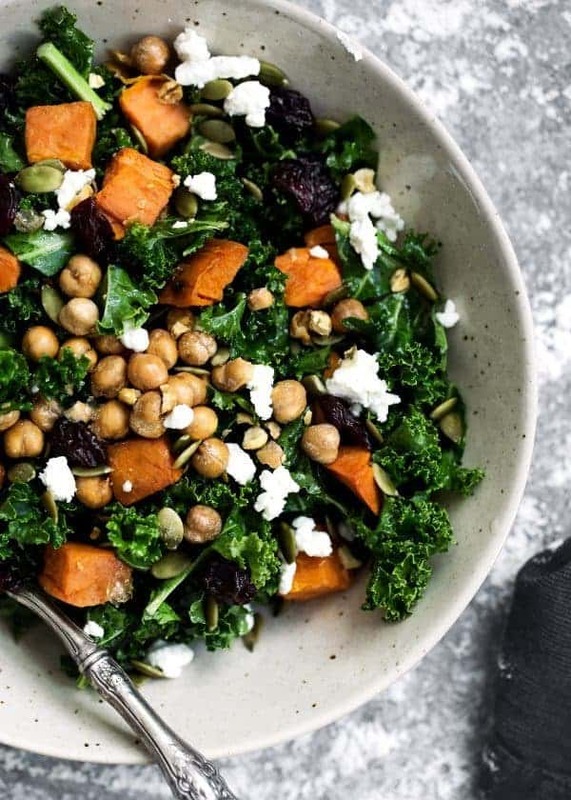 Place kale in a large bowl and drizzle with lemon juice, olive oil, salt and pepper. Massage with your hands for 45 seconds or until the kale turns bright green and starts to tenderize. Add strawberries and toss to combine. Gently toast walnuts in a dry skillet over medium-low heat until they start to brown, about 3-4 minutes, stirring frequently. You'll know they're ready when you can smell them. Add to the salad and toss well. Sprinkle in the cheese then toss one more time. Check for seasoning and adjust accordingly before serving. 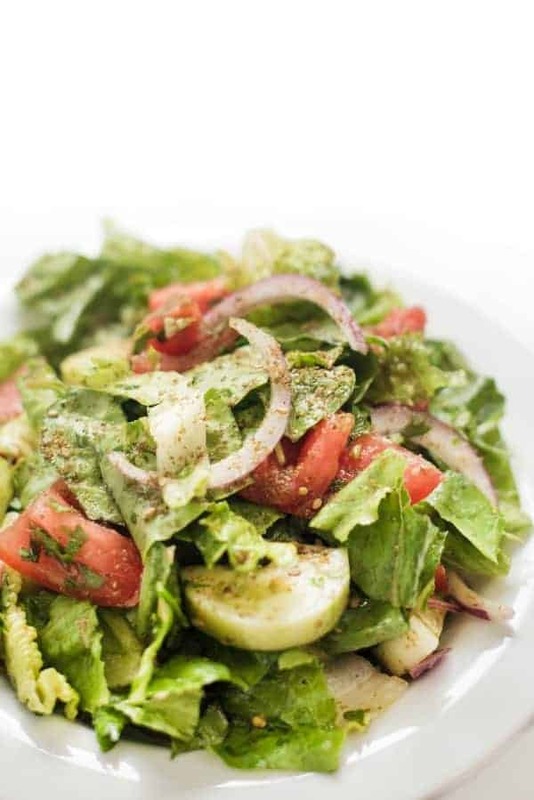 For more salad recipes, follow my Pinterest board!